Here is my latest completed Hama Bead project. I never really plan my designs before I start so they are always a “work in progress” until they are finished! 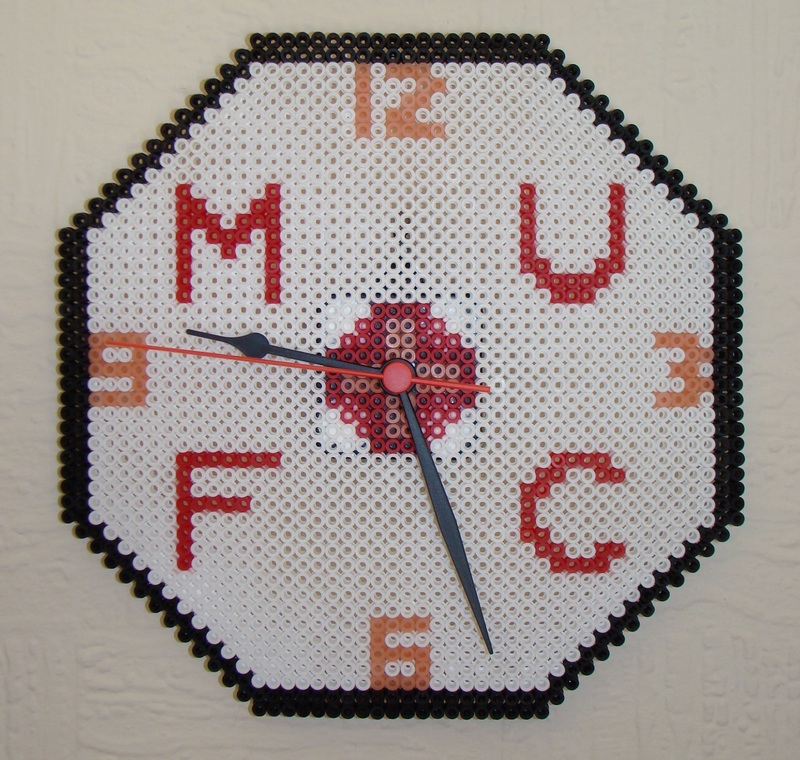 The clock was a birthday present for my dad so my only thought before I started was for it to be a Manchester United design. Here is the pattern before I ironed it. 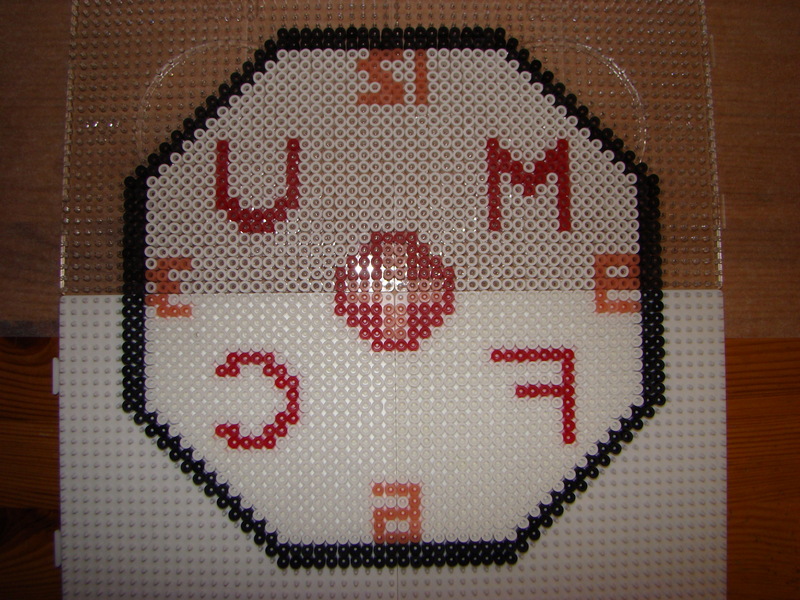 The border of the clock is black, the body is white, the letters and centre are red and the numbers are done in glow in the dark red beads. As you can see, I used 4 large square boards, so the finished clock was quite big. Once I was happy with the finished design, I ironed it and Gordon (my wonderful, practical husband!) stuck on the clock mechanism using silicone sealant. Finding a glue that will stick to Hama Beads is quite tricky and I would never thought to use bath sealant myself! If you fancy making one of these yourself, the clock mechanism can be purchased here and the Hama Beads and peg boards can be purchased here.